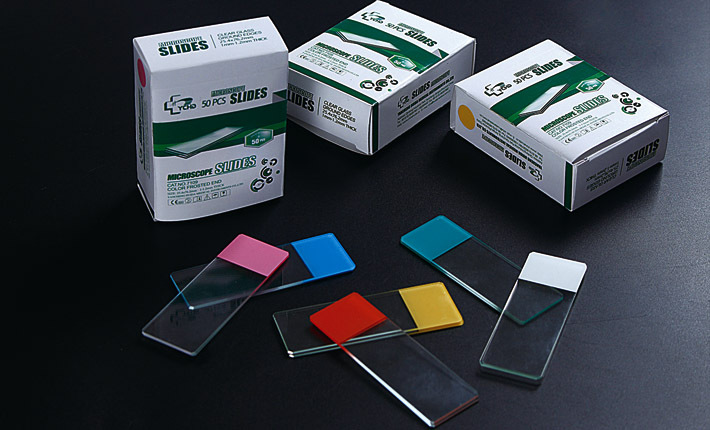 Huida Color Frosted Microscope Slides come with a light opaque coating in six standard colors: white, blue, pink, yellow, green and orange, resistant to commonly used laboratory solvents. Its painted background never change color in routine H&E staining. ◆Suitable for marking with inkjet and thermal transfer printers and permanent markers.